For the past four summers, I have led photography workshops with National Geographic Student Expeditions. This July, I worked with 41 high school students from around the world in San Francisco and Yosemite National Park over a 12-day period. Throughout the journey, we had amazing excursions to witness the landscape, understand the culture and meet the locals. We had classroom time where students learned the editing process, and at the end of the expedition, their work was exhibited in a prominent city gallery. The expedition was a wonderful chance to see the students grow -- not only as photographers, but also as young adults. Here are a few images that I made along the way. At dusk, two students photograph at The Golden Gate Bridge Vista Point. A double exposure - the INYO National Forest along Parker Lake Trail and flowers saved in a notebook. 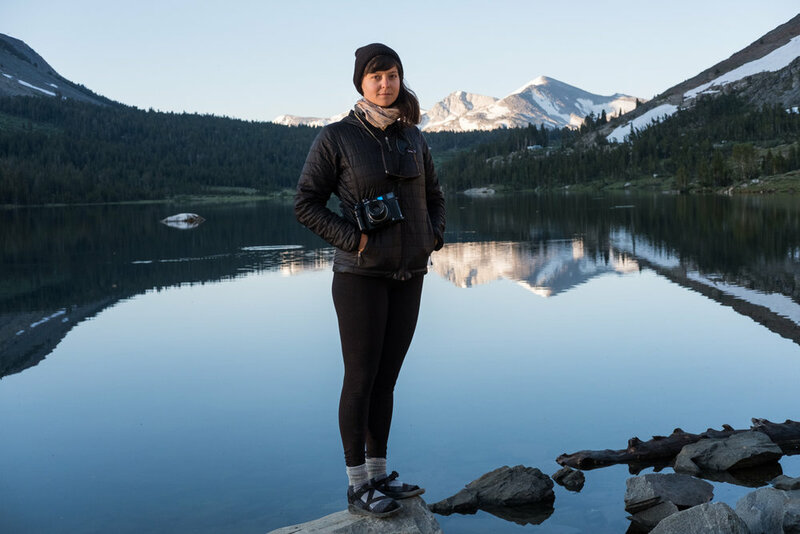 A portrait of photographer Morgan Levy at Tioga Lake. A young nature lover plays on the bank of Mono Lake at sunset. A portrait of Erika Larsen, a National Geographic Photographer, at Mono Lake. Chan the Bird Man flies his scarlet macaws in San Francisco's Mission Dolores Park. Photographers climb Pothole Dome, located on the west side of Tuolumne Meadows in Yosemite National Park. 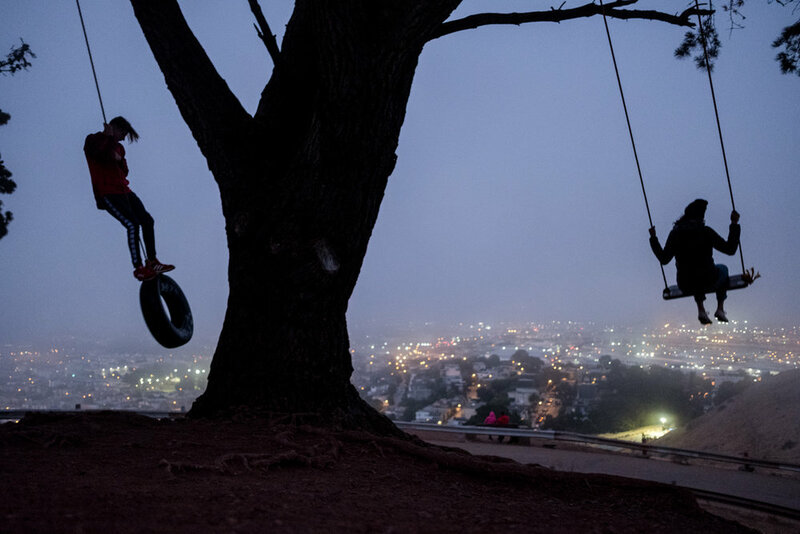 Two people swing under a tree above San Francisco at Bernal Heights.